Product prices and availability are accurate as of 2019-02-21 16:15:08 EST and are subject to change. Any price and availability information displayed on http://www.amazon.com/ at the time of purchase will apply to the purchase of this product. 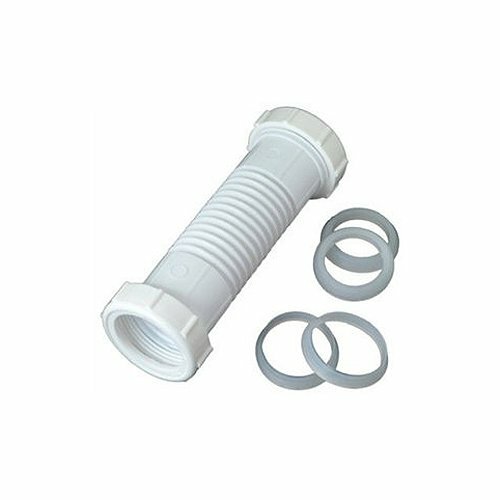 Master Plumber 321-505 Flexible Lavatory/Kitchen Drain Coupling. is made with white plastic. 1-1/4" or 1-1/2" OD tube slip joint. Includes nuts and washers. Comes in carded package.